When is the last time you visited a stream, lake, river or ocean? Take a second to remember how you felt. If you are like us, you recall the incredible calm of being near water. Water is life! There are so many people out there that care about water, but what they have in enthusiasm they lack in real tools to help them easily collect and make sense of that data. We’re making tools to do just that. Our mission as Water Rangers is to build the tools to help citizens and scientists easily record and analyse water data so that they can use the data to learn about problems, share discoveries and engage with their neighbours. Want to know where to get started? Check out our starter challenges! We were founded out of Aquahacking in 2015, and returned to present at Aquahacking 2016! Here’s a quick 6 minute video that explains a bit about ‘why we are’ and what our platform can do. Take a journey with us as we walk through our core features! Go to the map now to get started. Our team is small but mighty, and it means we can work closely with each other to get things done beautifully and efficiently. All members are senior in their fields. As Executive Director, Kat does everything from project management, fundraising, social media, public speaking, training and outreach, test kit design and testing, as well as quality assurance, UX design, web design and build. With a Marketing Degree from McGill University, she has translated her passion for design into a successful web and game design business called Capra Design Limited. She’s also a public speaker, and has presented at CanUX on prototyping. She promotes women in tech and is a mentor for Ladies Learning Code. She began Water Rangers after performing some water quality tests with her dad and seeing how complex and unintuitive the process was. 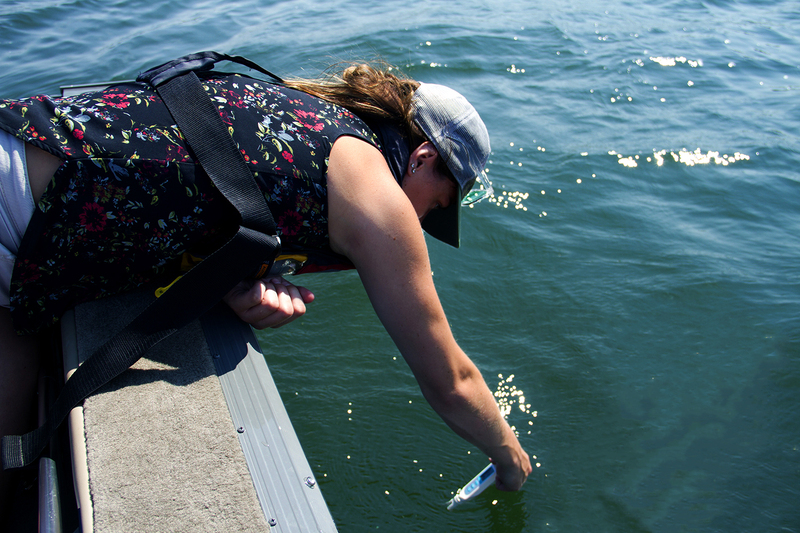 Her passion and enthusiasm for citizen science drives her desire to make Water Rangers great! Mark is a hands-on engineer and has a degree in Computer Engineering Technology from Rochester Institute of Technology. For the past 8 years, he’s been working at a successful tech start-up he co-founded called Teldio and was recently named a Wireless Wavemaker. He excels at working at all facets of development. Mark is a natural problem solver and if he can’t figure something out, he keeps working at it until he finds a solution. He is excellent at keeping Water Rangers organized and focused. Mark is connected to the community, where he sets up meet-ups and runs a local TEDx conference. Mark wants to use his skills as a developer to help protect the environment, and as an avid hiker, and you can find him out walking by our local rivers. Ollie is a key member of the Water Ranger’s team and he has volunteered hundreds of hours to help us build our platform. Ollie is a rare designer: he is equally comfortable designing beautiful, elegant interfaces (with superb typography) as he is delving into the front-end code. A natural problem solver with over 15 years experience in both web and print, he eagerly takes on any challenge and works hard until he solves it. He works with Kat at their web design agency, Capra Design Limited. Ollie is constantly trying out new technologies to make his designs more beautiful and exciting. He is also an avid swimmer and loves hiking with the dogs. Wietske works to help Water Rangers implement rigorous academic standards as we collect data on our impact and scientific effectiveness. She is affiliated with the Faculty of Agricultural and Environmental Sciences at McGill University where she conducted her postdoctoral fellowship research. 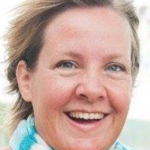 Originally from the Netherlands, she has worked in various water and environmental projects in Southeast Asia, Europe and North America, contributing primarily in areas of water governance, citizen science, institutional development, capacity building and stakeholder participation. She has spent the bulk of her career working with academic, government organizations, industry, non-government organizations, conservation groups and civic organizations and is passionate about building and strengthening collaborative networks and communities of practice by helping organizations identify and design sustainable social and technical solutions. Jordan is graduate from the MSc. Environmental Sustainability program at the University of Ottawa, with Research and focus in Canada’s Species at Risk Act. He is also interested in studying Environmental Markets, international endangered species legislation and evaluating Ontario’s Cervid management systems, water quality monitoring and energy efficiency. Jordan’s passions include environmental education, wildlife conservation and problem solving/ inquire based learning. He is a creative person who loves a challenge, such as anticipating changing realities. His problem solving skills and eagerness to learn drive him to accomplish professional work with excellent quality. Unfortunately, in 2017, Keith passed away suddenly. We honour Keith as our friend and colleague, and his picture remains as the launch screen of our app. Keith and Kat worked together on some serious game development and he’s incredibly knowledgeable and passionate about making the world a better place. With over 35 years experience, he is excited to work with the team on improving our structure so we can scale and using innovative ways to use tech. He’s also helping us build our offline apps for iOS and Android. Keith has deep and broad experience in helping Fortune 500 to small startups with the design, development and delivery of distributed data capture, storage and delivery solutions. In addition to making hot sauces, bike riding and banjo playing, current interests include actor-based and functional languages and technologies. We were part of one of the the winning team for Aquahacking 2015 in May as part of the Ottawa Water Summit. Our project, River Ranger, focused on creating some basic tools for the Ottawa River. We got some great feedback there from scientists, conservation authorities and River Keepers that saw a real purpose to what we were doing. Through that success and encouragement, we believed that through further research and proper development that we could develop something truly great. In the months since then, all in our spare time, we have been learning about water quality protocols, rebuilding our app, looking for partnerships and applying for funding. Our dream is to one day have millions of citizen water quality tests on our app from all around the world. If you would like to learn more about what we’re doing and get involved, please get in touch.